I'm back in the air! 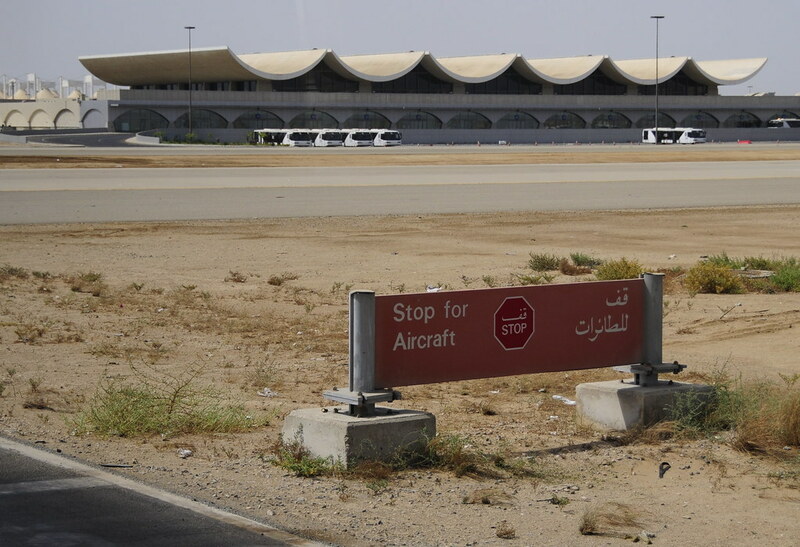 Jeddah airport has been renovated but it still looks hopelessly dull. It's such a contrast to what it looks like from outside. I love the simple tent-look of the main terminal building. The lack of the ugly (but necessary) jetways, and the vast open area of the airport apron, help maintain the illusion. The weather is nice. Not too hot and - most importantly - not dusty. 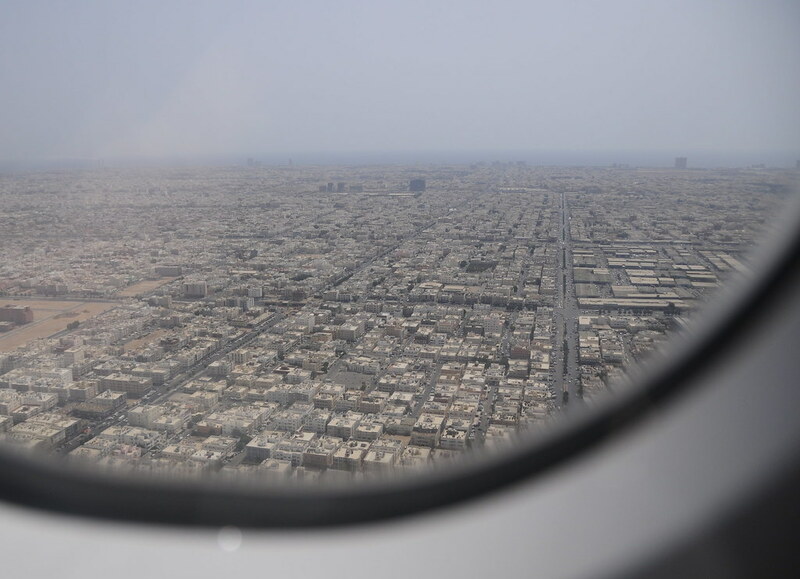 Kuwait has been dusty for six continuous days! I wanted to know the origin of the name of Jeddah so I asked an old man at the hotel reception. He tells me it's from 'Jadda' - Arabic for Grandmother - referring to Eve. The story is that when Adam and Eve were expelled from Paradise, only Adam went to Makkah... Eve lived in what is now Jeddah! Is this true? The man seemed so sure that even the location of Eve's grave is known to many of the locals... Saudi readers: Can we please have your version? You jet around quite a bit. I am a bit jealous but at the same time I don't like all the hassle of flying. Are you traveling mostly on busines trips? Almost all... In some parts, the city is crumbling. Various documents or rather accounts place Eve's burial place in Saudi, Iraq etc. Infact some say that Eden was ancient Mesopotamia !